What are the advantages of taking oxiracetam compared to other racetams? What is the best way to take oxiracetam? What does this powder taste like? Oxiracetam is a racetam with a hydroxyl-substituted oxopyrrolidone nucleus. What people really like about Oxiracetam is that it has strong oral bioavailability compared to some of its racetam family members. Take one rounded 1cc scoop (750mg) once daily. Oxiracetam is water-soluble, and is best taken on an empty stomach. We performed in-house testing to verify this. 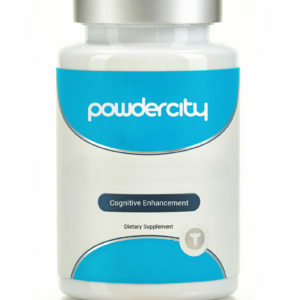 Oxiracetam has stimulating properties so this product not only assists with cognitive improvement, but also provides an energy boost. Oxiracetam is best taken early in the day on an empty stomach with a cholinergic. This nootropic is water soluble so you can mix it into a beverage of your choice. Unlike other racetams, oxiracetam tastes slightly sweet.